I was sitting at my son’s hockey game when I got a text from a client I hadn’t seen in a while. It didn’t take me long to figure out she might be in trouble. I said to her directly, “It sounds like you might be feeling suicidal.” Her response was, “Not tonight.” That indicated to me she was immediately safe, but has been at risk recently. We developed a plan for connection. Those are moments that I sometimes feel gripped with fear, wondering who in their right mind would be a counselor for a living. It feels overwhelming to be a part of the responsibility for a person’s life. At the same time, I know from the depths of my being, that this is what I’m called to, to be able to stay present with people’s profound grief and pain. It got me thinking about suicide and many of the events that have occurred around me. I just lost my dad a month ago. He had chosen palliative care and refused antibiotics for an infection. He had battled Parkinson’s for years and knew it was a progressive disease that relentlessly wreaks havoc on your body. He was 86 and ready for his next journey for over a year. I did a lot of soul searching about assisted suicide and was surprised to find myself in favor of it. People should have a right to choose to be finished with their suffering. But what about those who are not struggling with a terminal illness or a debilitating disease? 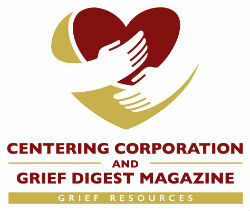 I have worked professionally with clients whose family members have completed suicide. Grief is difficult enough to face, but grief after suicide is usually incredibly more devastating, adding layers of guilt, anger and confusion on top of the loss. One of the most difficult sessions I ever sat through was with an eight-year-old girl. Her dad had completed suicide a few months earlier. She had gotten the flyer for the father-daughter dance at her school. It was a mostly silent session while she lay curled on my couch, sobbing in a fetal position while I cried with her and gently rubbed her back. One of my best friends lost her twenty-eight-year-old son to suicide a couple of years ago. It was a strange and confusing event. There were no indicators and it came as a total shock. He was an exceptionally well-adjusted man. The pain and agony my friend has suffered since her loss has been excruciating. Trying to make sense of the senseless is futile but as humans we are driven to try over and over again to the point of emotional exhaustion. As a person who struggles with depression, I have thought about the concept of suicide many times. It is hard to be honest with the people who love you because it worries them terribly. For myself, suicide is not an option, mostly because of my son and others I would leave behind. Trying to explain to someone that you can wake up every day with your first thought being, “Oh no, I woke up again” is another futile exercise unless the listener also deals with severe depression. They just can’t comprehend it. Wishing you were dead is NOT the same as being suicidal, but those words are still terrifying to those that love you. Death, grief, loss. They are universal concepts that every human must grapple with. They can either do so willingly and in a healthy manner, or they can fight it every step of the way. But death by suicide is not a universal. Not everyone will experience this in their close circles. And thank God. You have probably heard these words at different times in your life, but it remains true: No one is responsible for another person’s choices. If someone is determined to end their life, there is nothing a person could do to stop them. They will find a way. However, I don’t know how much comfort that brings. I don’t know that there is much of anything that can soothe a heart that has lost someone to suicide. It is in our nature to worry and wonder, “What if?” when we think about it. But know this. Grief of any kind hurts. Grief of any kind takes time to heal. Don’t be afraid to reach out and grab any resources that are available to you- professional help, groups, a kind gesture, a listening ear, a shoulder to cry on. Grab on and hold tight. And know that for reasons you cannot possibly understand, your loved one felt the suffering they felt was intolerable. Existing in this way on this earth was no longer an option for them. It’s ok if you don’t understand. It’s ok if it makes you angry. It’s ok to acknowledge that it is definitely not fair. And give yourself lots and lots and lots of time to heal. Darcy Thiel, MA is a Licensed Mental Health Counselor in NY State and an Aging Life Care Manager. She earned her Master’s Degree in Clinical Psychology from Wheaton College in Wheaton, IL. She is also an accomplished speaker and presenter on various topics throughout the Western NY area. She is the proud author of Bitter and Sweet, A Family’s Journey with Cancer, the prequel to Life After Death, on This Side of Heaven. To learn more about Ms. Thiel, visit her website at www.darcythiel.com or marriageandfamilycounseling.net. If you enjoyed her blog, she writes weekly at helpforhealing.wordpress.com.